Thanks Judy, I thought the bee house was pretty cute, and I’ve been enjoying strolling around the gardens …always such a peaceful place. 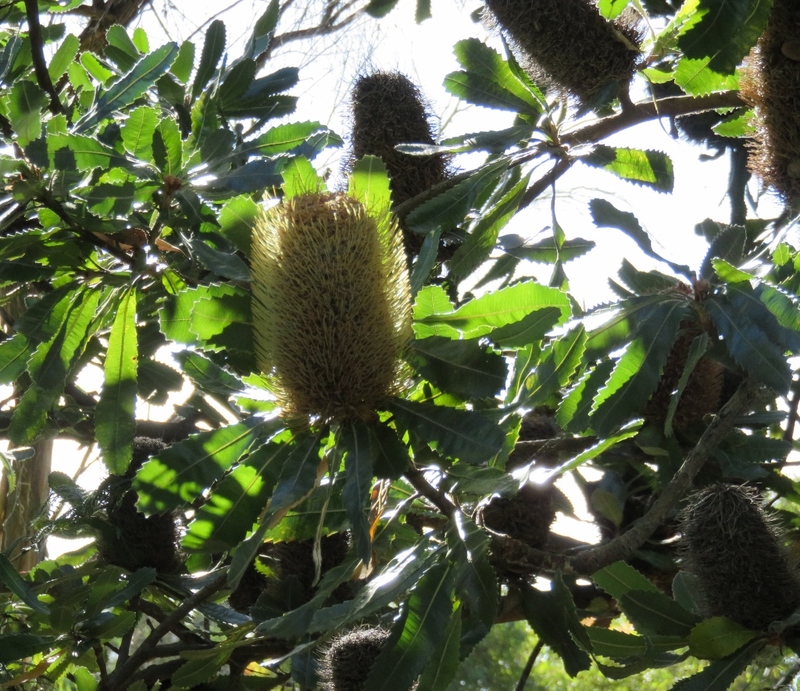 The Banksia is an unusual flower, among the protea family which is ALL unusual! 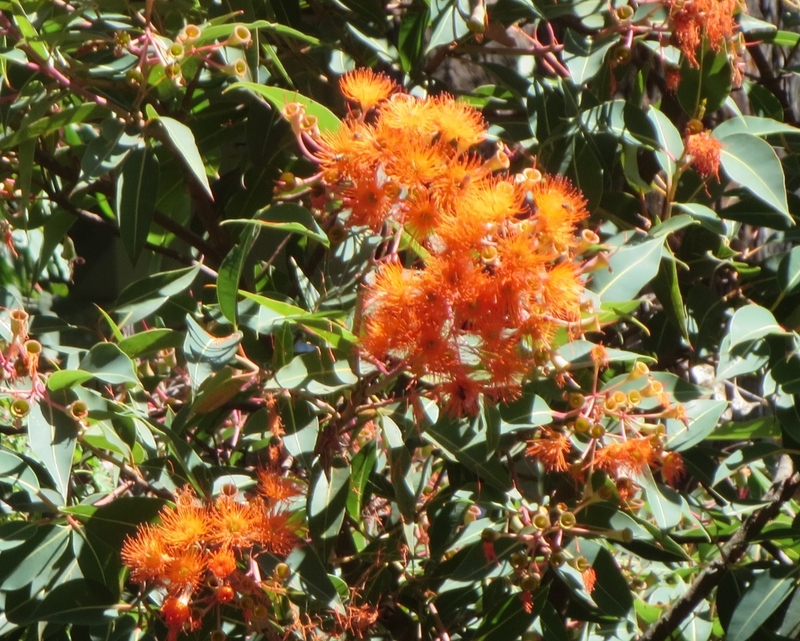 Does it have nectar like our sugarbush? 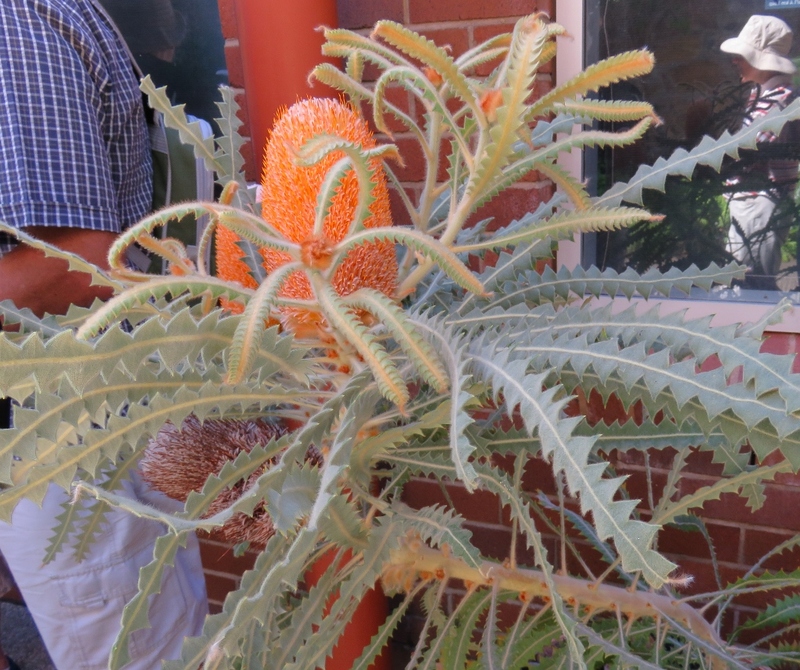 I must do another post on the Banksia, it is amazing and incredibly resistant to fire. 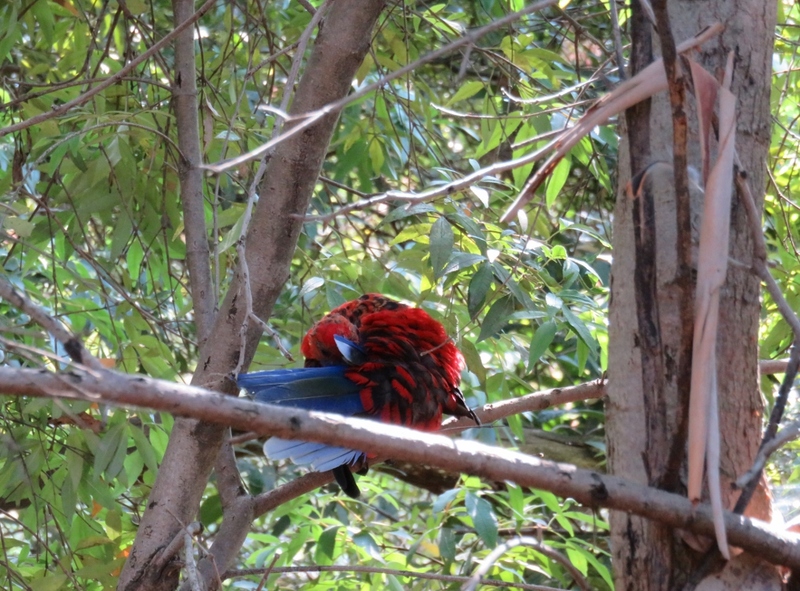 Good question about the nectar…so many birds are attracted to Banksia it must have nectar…I’ll look it up! Inspiring report! Love that bee house. Need to drill holes in my old wood pile! 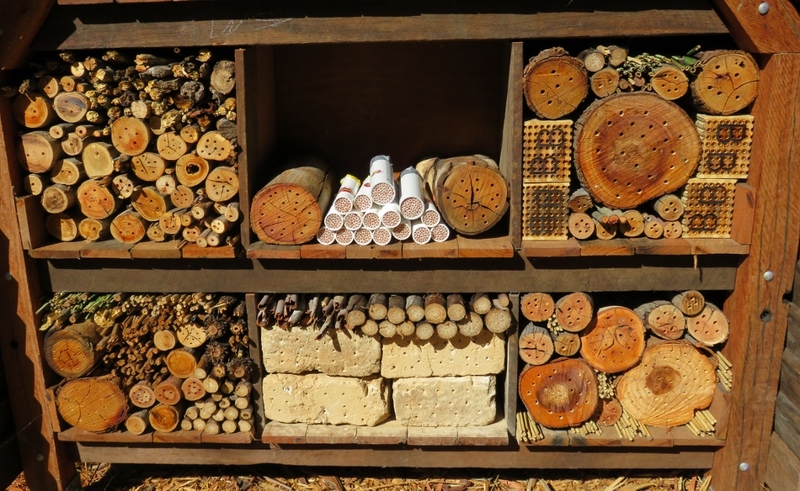 Thanks Diane, yes the bee house is really something….and now we know what to do with our old wood piles! The tree ferns in the last shot are magnificent too. Something I’ve always wanted to grow. 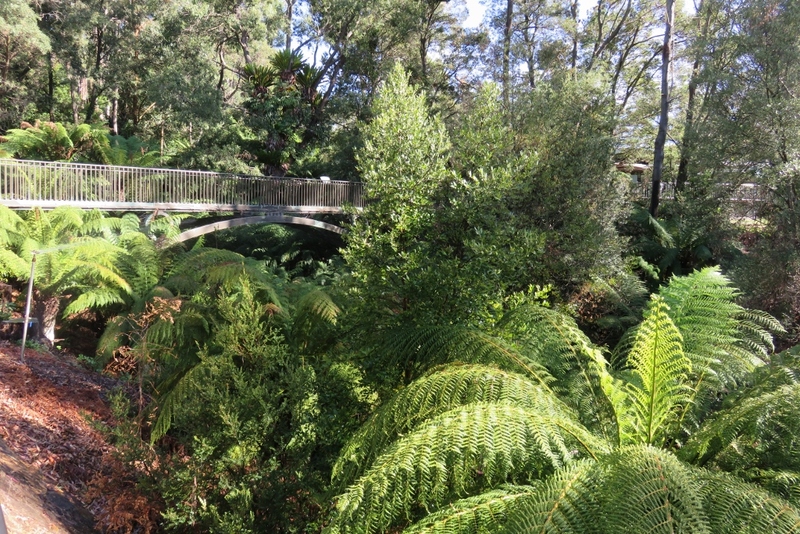 The tree ferns at the Botanic Gardens are glorious…I love them too…….I’ll do another post on the fern gully at the Botanic gardens. Totally in love with that bee hive. How creative are some people – REALLY! Sadly – I have no use for wood piles in my neck of the woods. Termite fodder in the tropics. Yes, I agree about the termites, I like to get rid of extra wood in the garden. 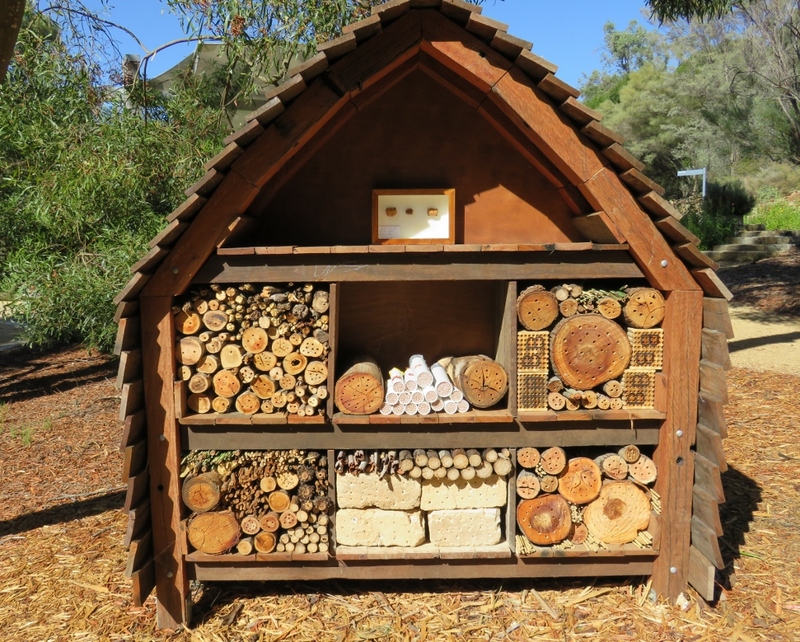 The bee hive is really creative, and they have an outdoor classroom for kids to make their own bee hotels…..what a great excursion for kids! The bee hotel has only been there a few weeks, but it is a great idea, and especially for kids. 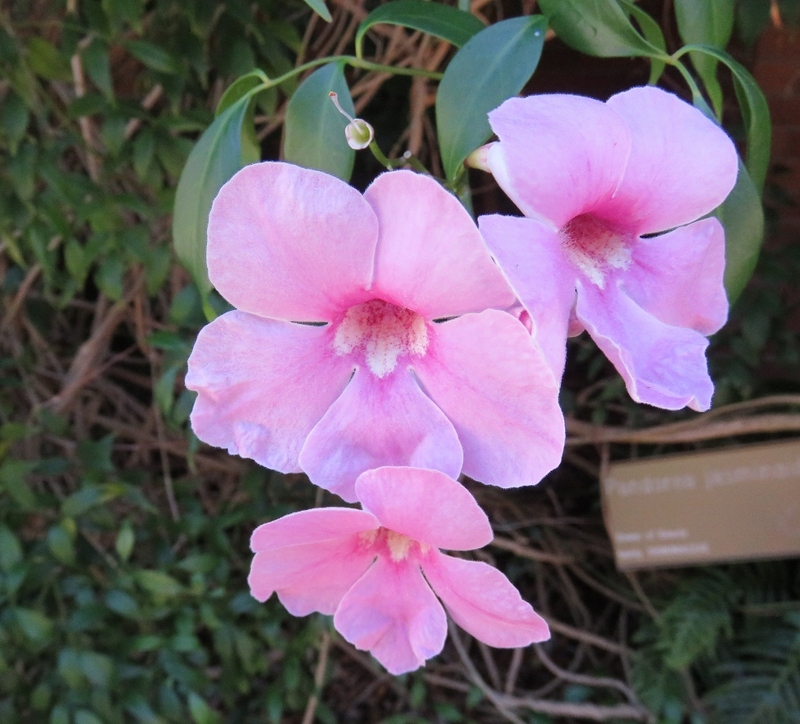 Yes, the Botanic gardens here are really lovely, they are watered from the lake now, which means the mature trees don’t suffer during hot dry spells. Beautiful…. I especially enjoy daisy’s of all kinds. 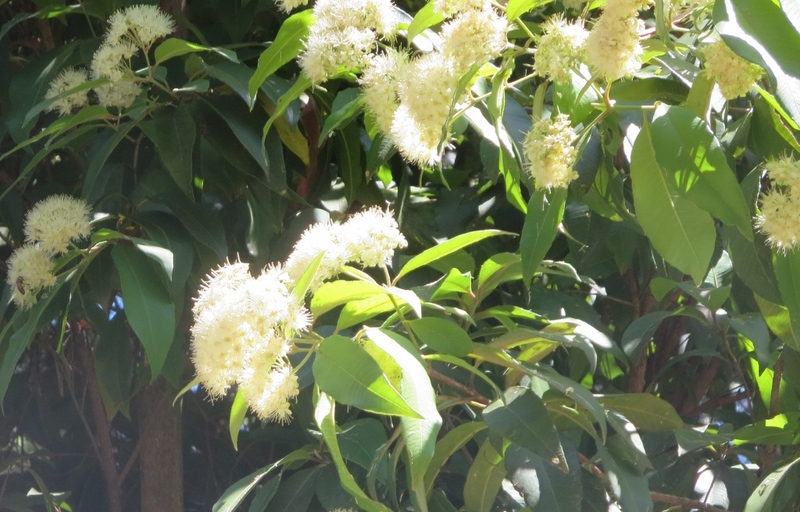 Yes, the bees were loving them! Love the bee hotel! Bees, especially honey bees, are having a tough time now in my part of the U.S. Too much of their habitat is being destroyed. I could imagine building a smaller version of this hotel in our backyard. 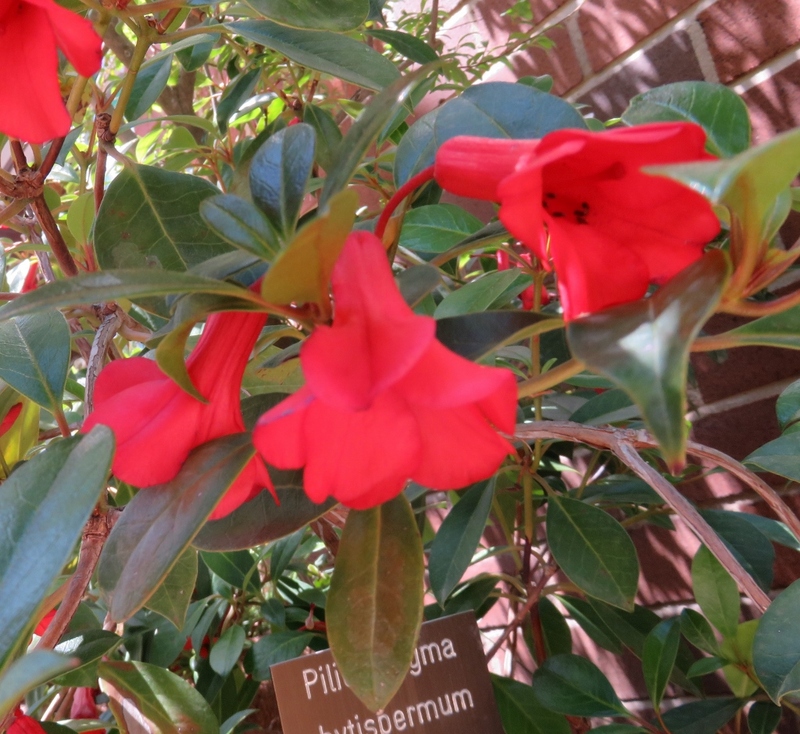 Thanks for sharing your beautiful photos ~ the gardens are gorgeous! 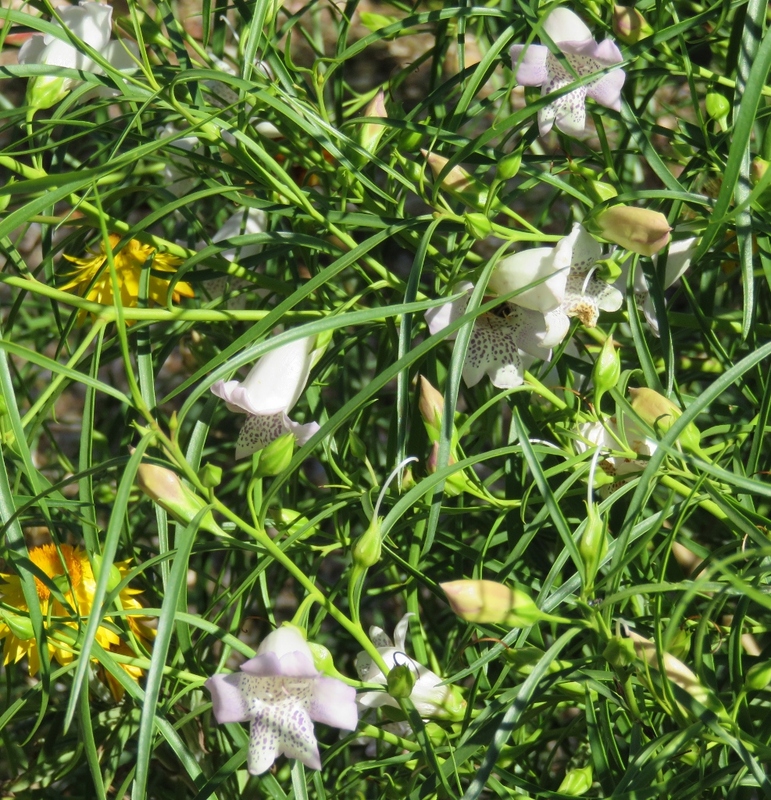 Thanks Carol, yes the bee hotel is special…I hope it works, I’ll go back and check in a couple of months. 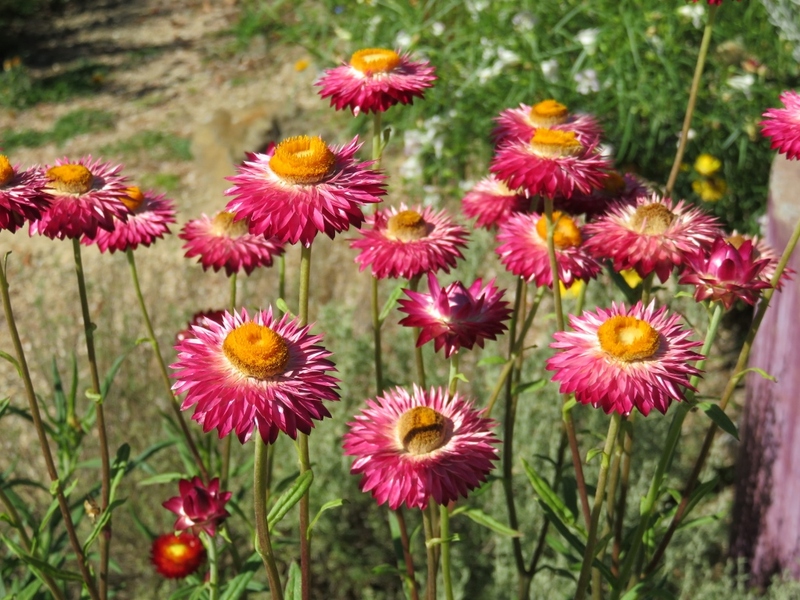 Glad you like the gardens, they are especially lovely on a hot summer’s morning. What a fabulous garden. 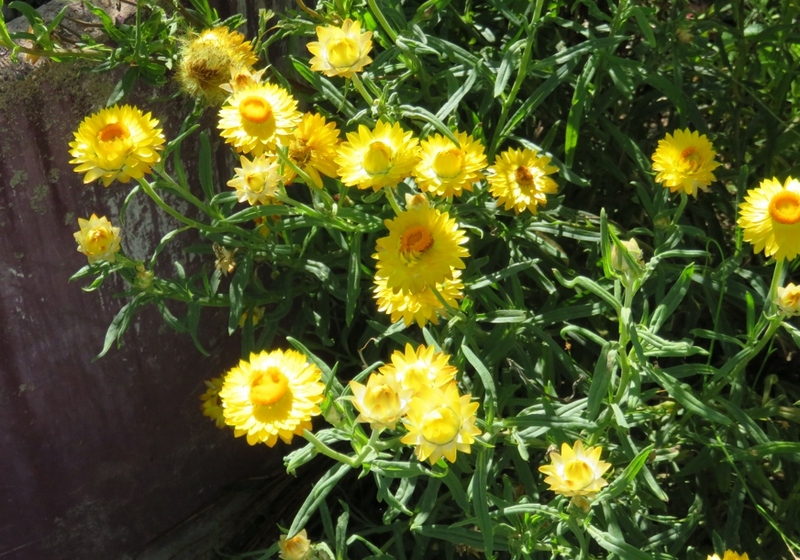 I love all the straw flowers and the Banksia. 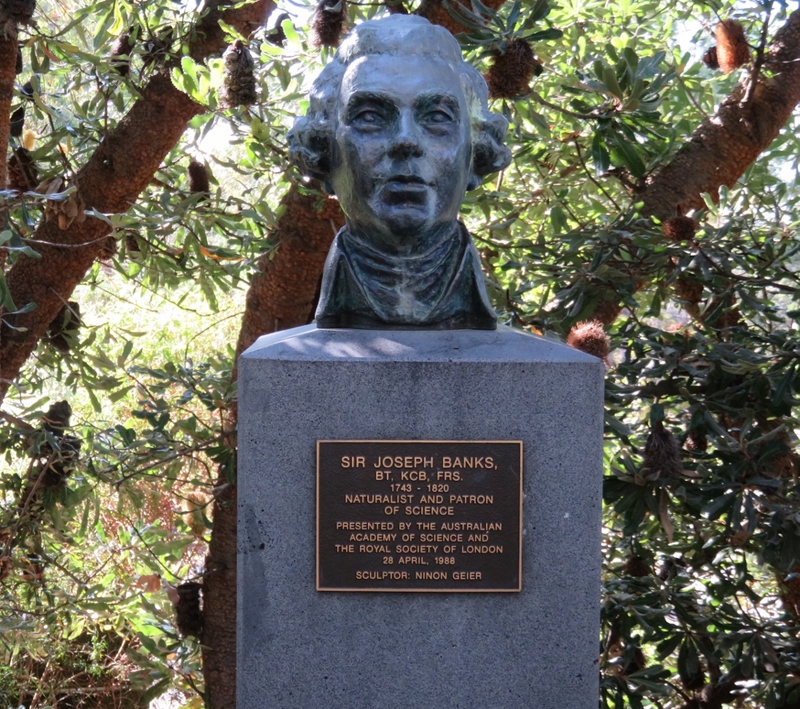 And the bust of Joseph Banks, responsible for all those banksii to be found in so many genera. Yes, I think Joseph Banks would have approved of his position! Glad you liked the garden, it is a lovely place.. 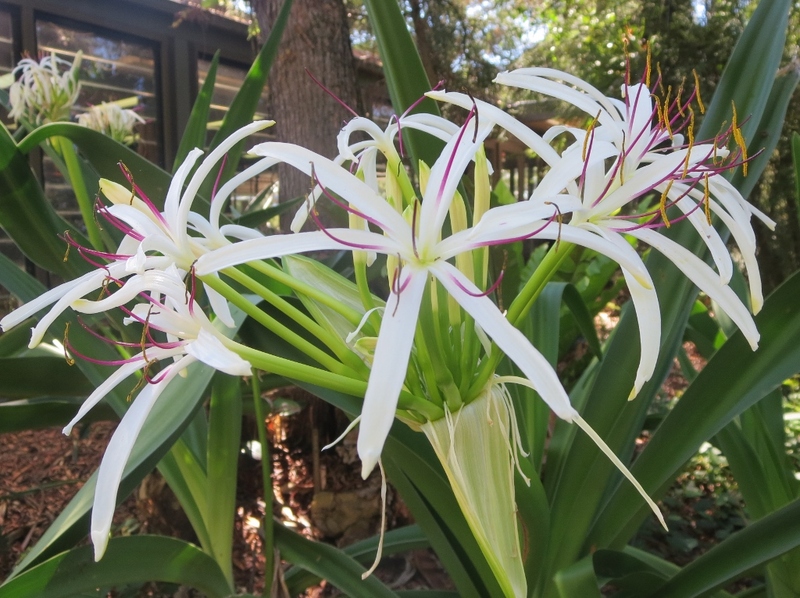 Yes, the Botanical Gardens are lovely, I’m reminding myself to go there more often instead of the usual walk we do near home.